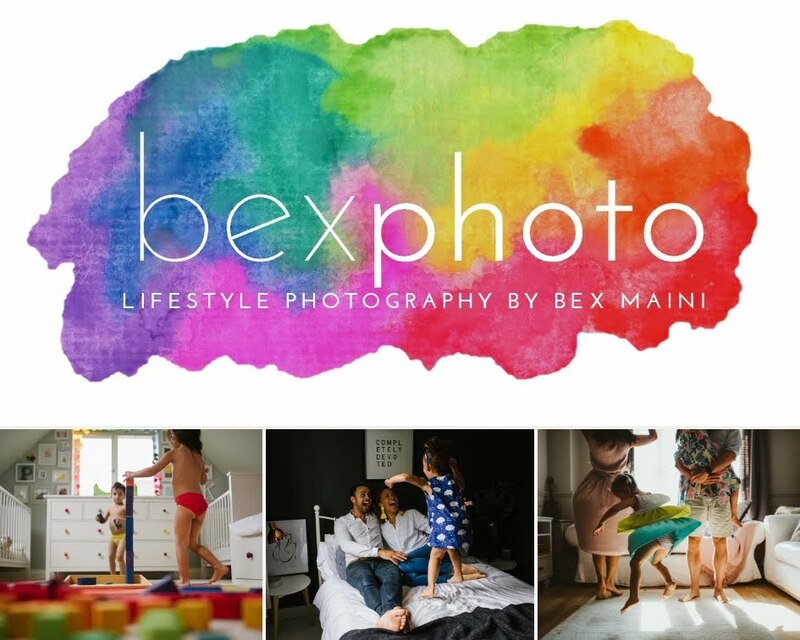 Another place highly recommended by you guys on my original summer holiday post! 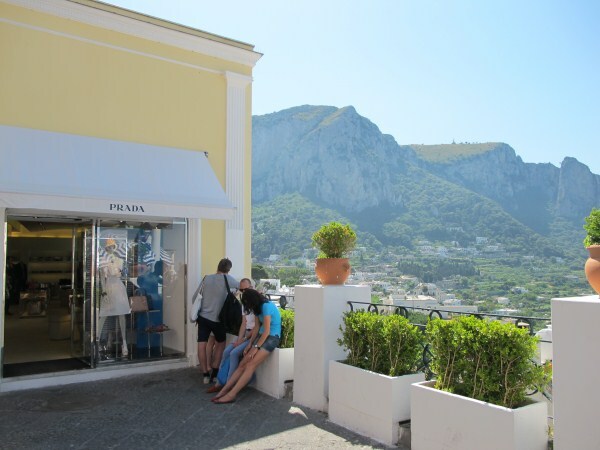 With top tips from Esme for Capri! 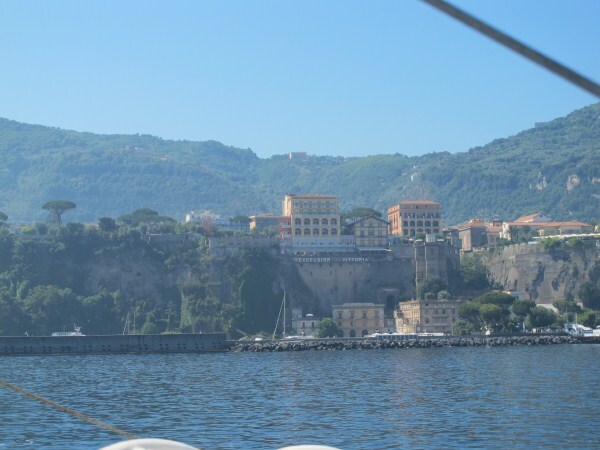 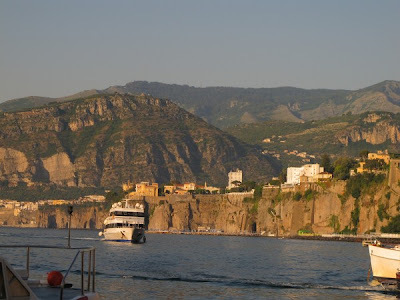 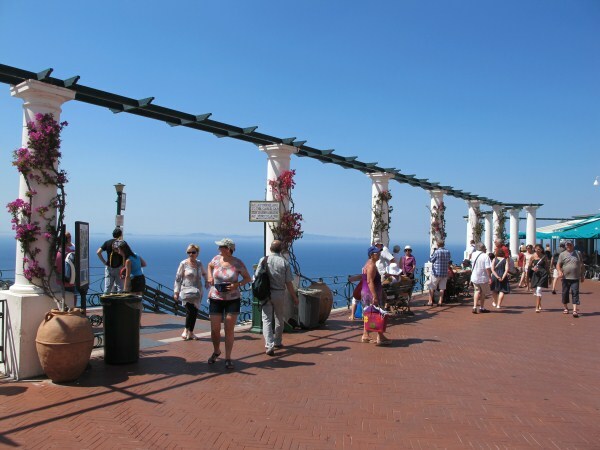 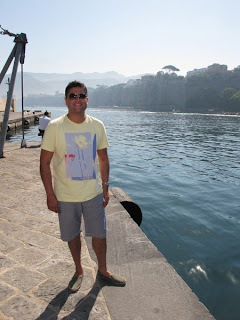 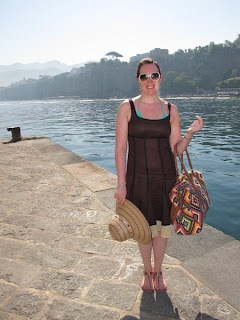 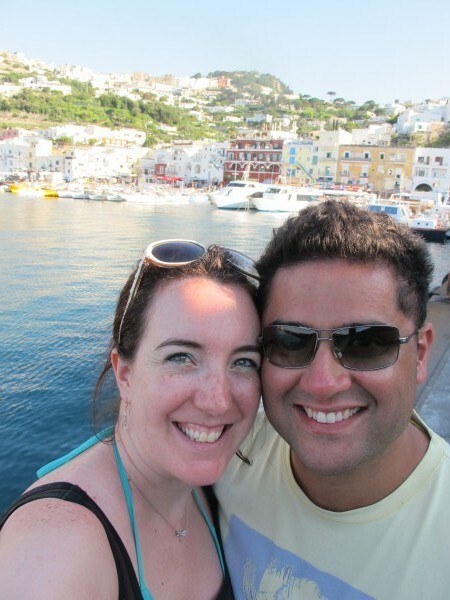 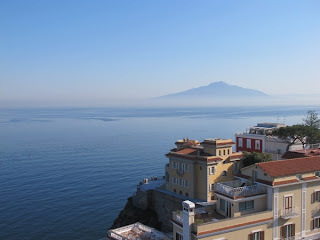 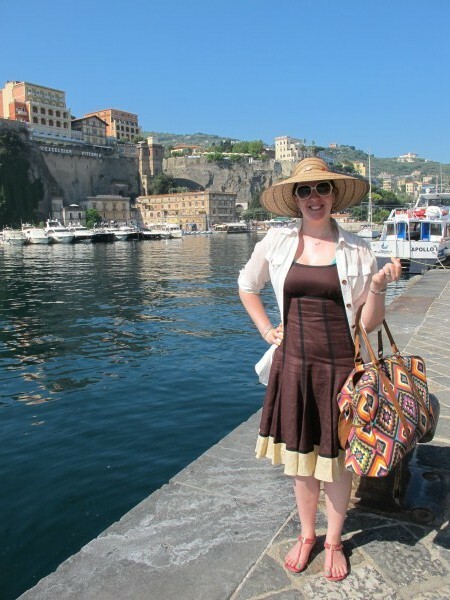 We went on the 2nd last day of our week in Sorrento and it was a beautiful day. 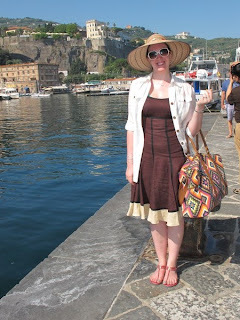 We woke up early for breakfast and got organised to head to the Marina to catch a ferry. 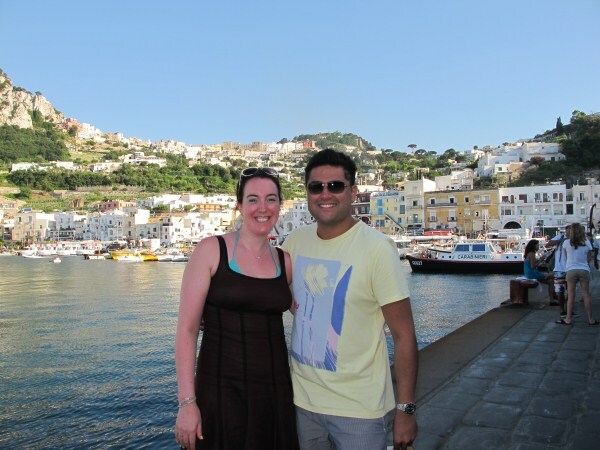 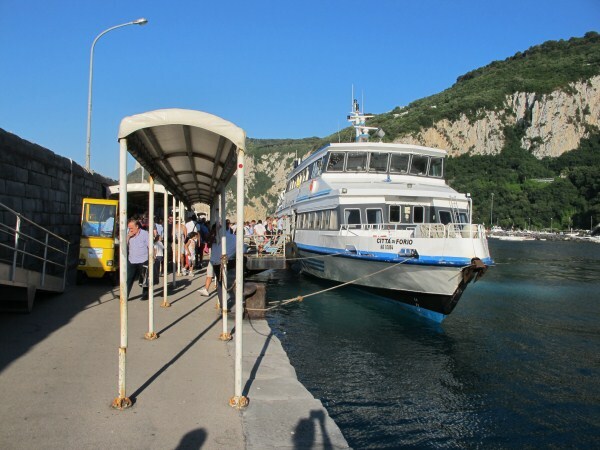 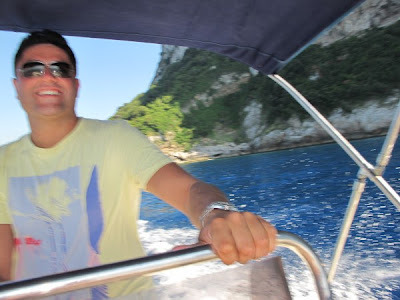 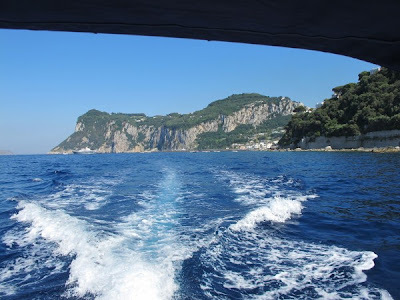 Instead of an organised trip to Capri, we decided to go ourselves as the ferry was so cheap and we wouldn't have to be stuck following a huge group around while paying over the odds. 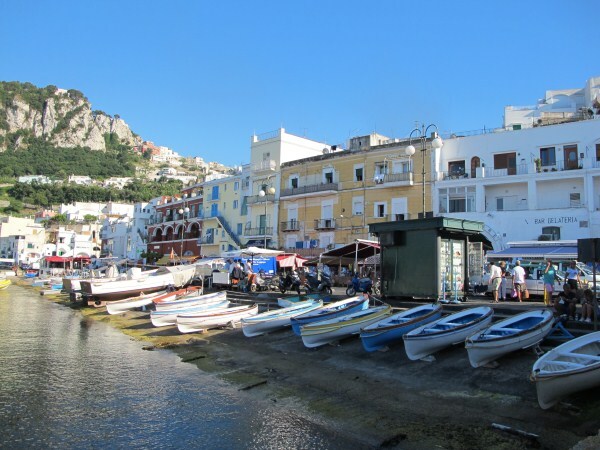 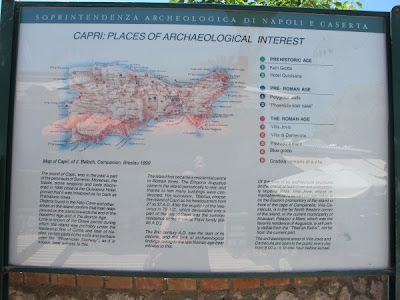 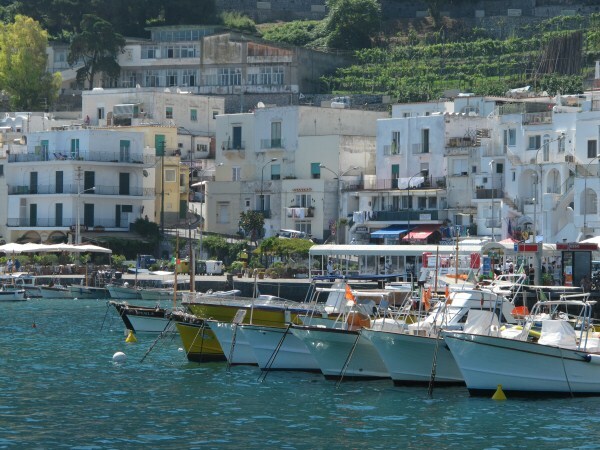 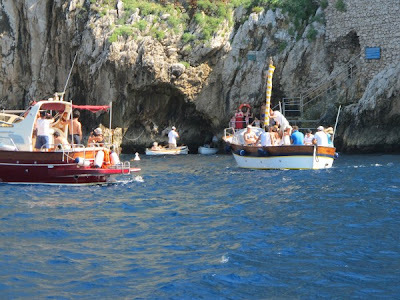 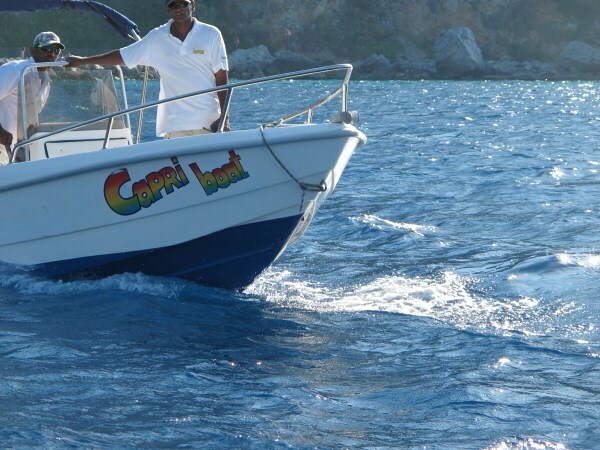 We had noticed a poster walking back to our hotel one evening advertising boats for hire when you reach Capri so you can explore round the island yourself - your very own private yacht (well OK, they're more like little motor boats but still, a girl can dream!) We planned to do that first but by the time we got there (our bus to town was later than we planned and the ferry was delayed) it was getting on for the middle of the day and we didn't want to be out on the boat getting burnt. 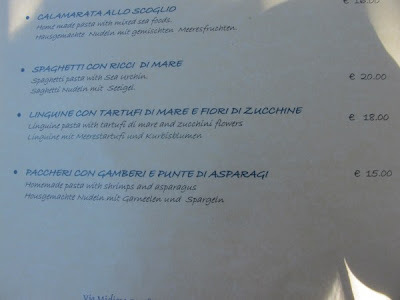 Plus we wanted to have lunch at a specific place we needed to find. 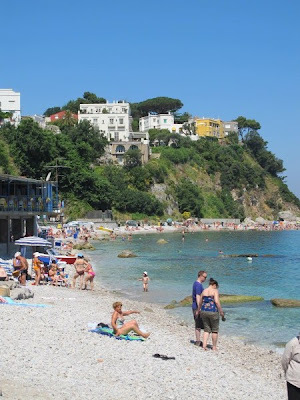 After a little exploring around the Marina and checking the time of the last ferry home we settled down with a recently purchased Capri guide book in a beach-side cafe for a drink to make plans. 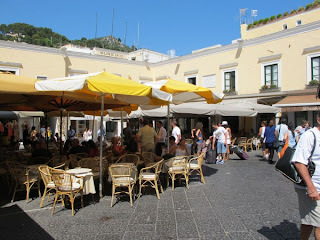 Nik enjoyed an iced Limoncello and I had an iced cream coffee - delish! We were the only ones in the restaurant at first but it was early for lunch. 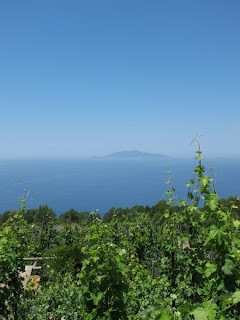 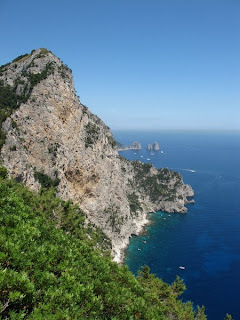 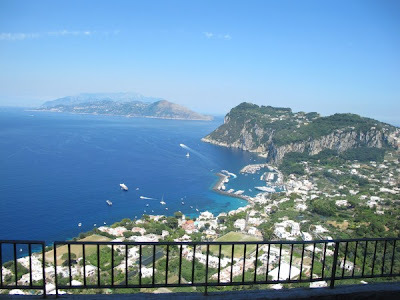 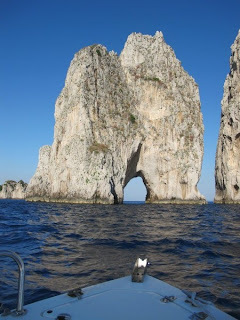 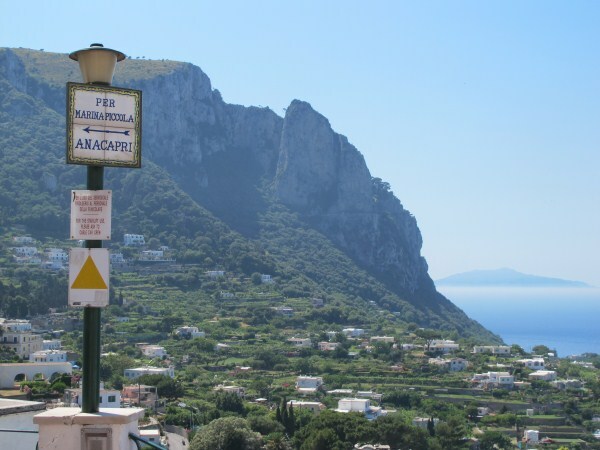 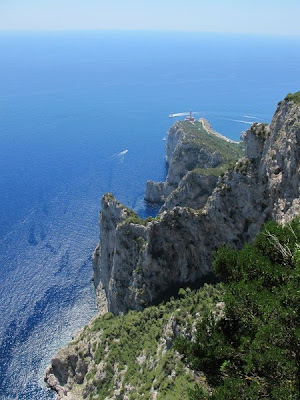 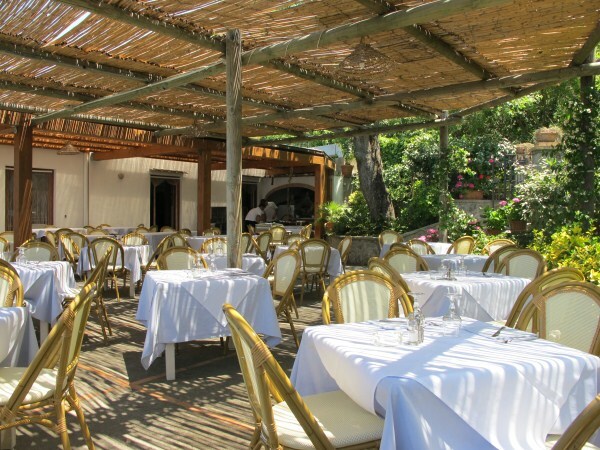 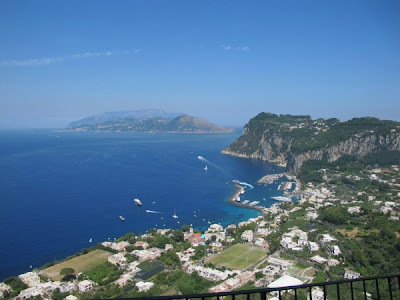 We were served by a lovely Italian who used to live in Glasgow and was happily chatting away with us and recommending views we should see while on Capri (some nearby which he pointed us to before we left!). 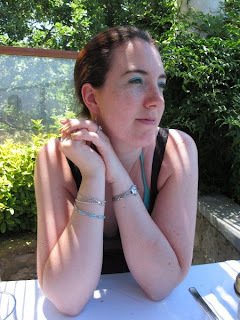 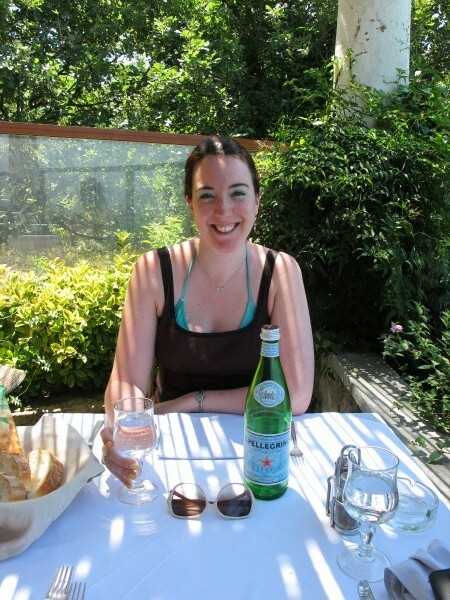 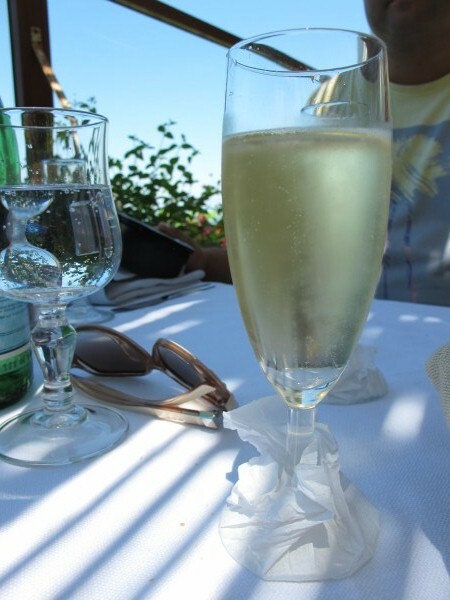 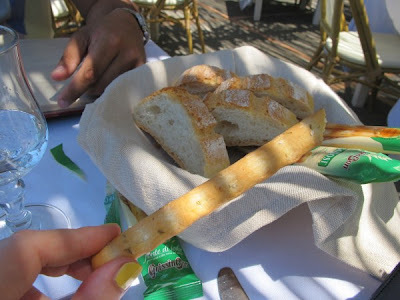 We received some yummy rosemary breadsticks and ordered some Prosecco while we perused the menu. 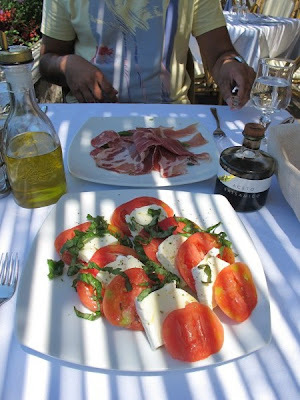 To start I had to have the Caprese salad! 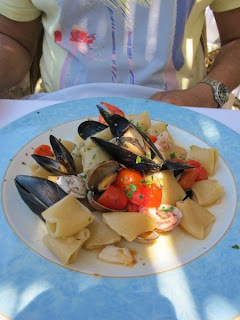 All the food was absolutely to die for! 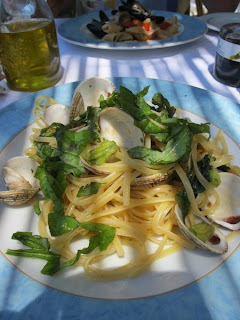 The pasta in Italy is so different to any I've had here and I've discovered a liking for clams! A lizard ran past us! 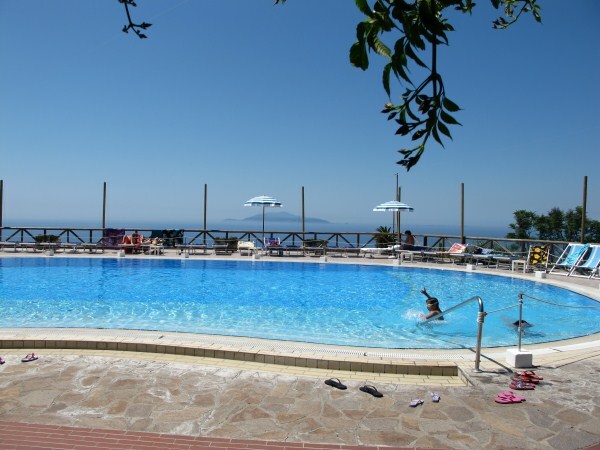 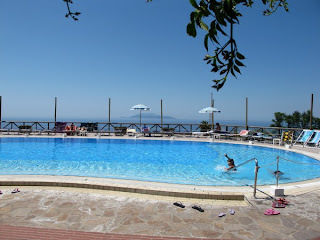 We went back to the hotel to get our lift back to town and looked around the pool area and view once more. 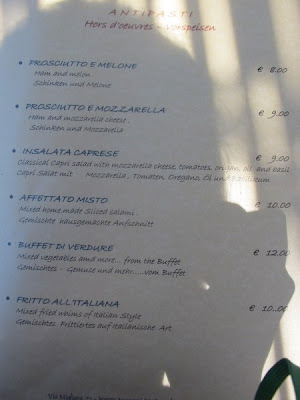 Our waiter was there and recommended the place as a hotel too and gave us a card. We are DEFINITELY interested in staying there some day. 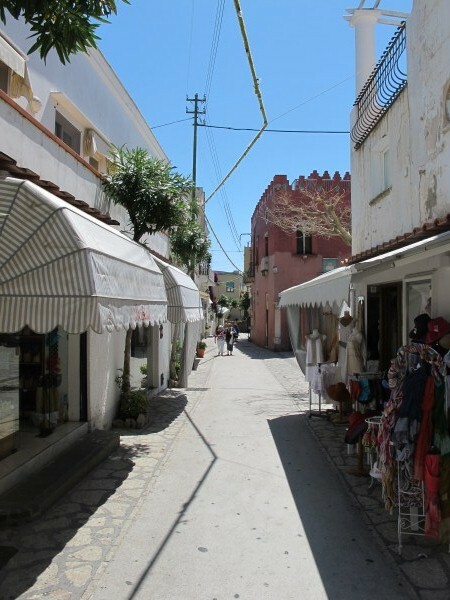 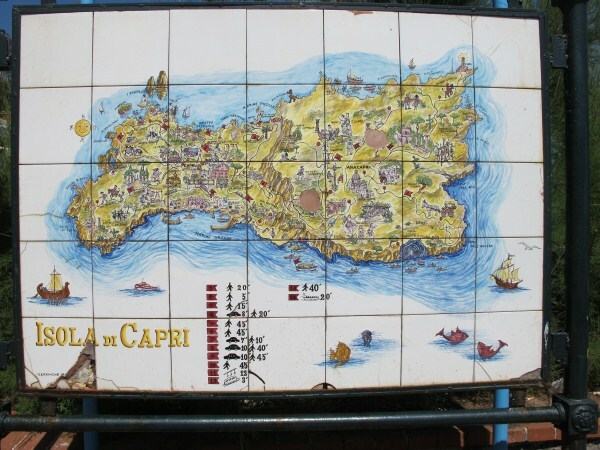 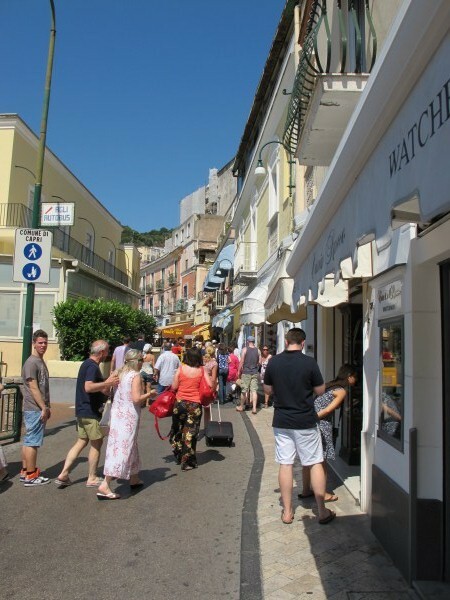 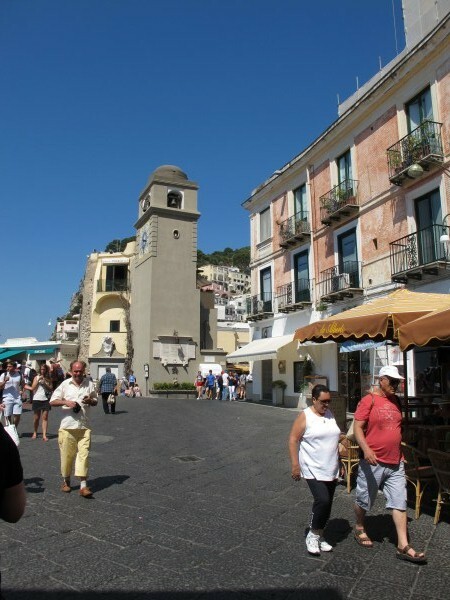 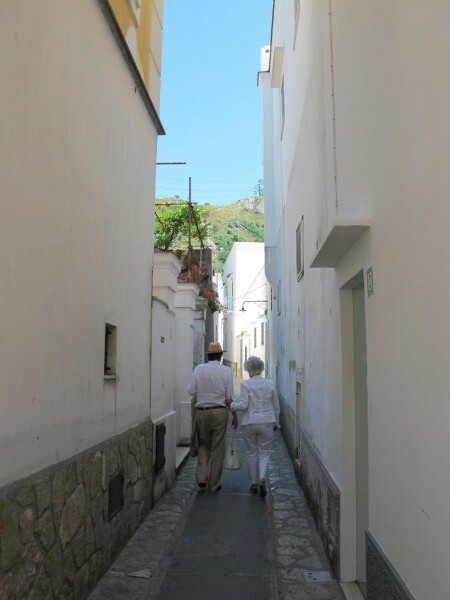 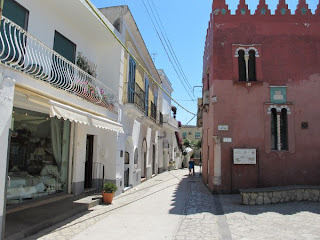 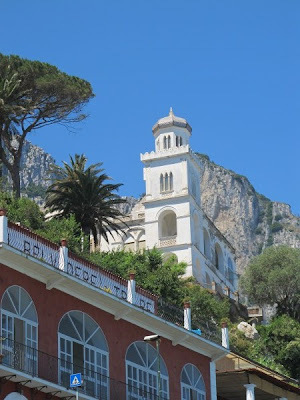 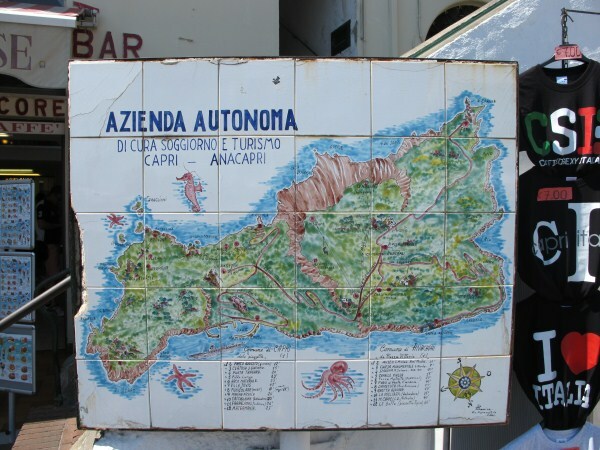 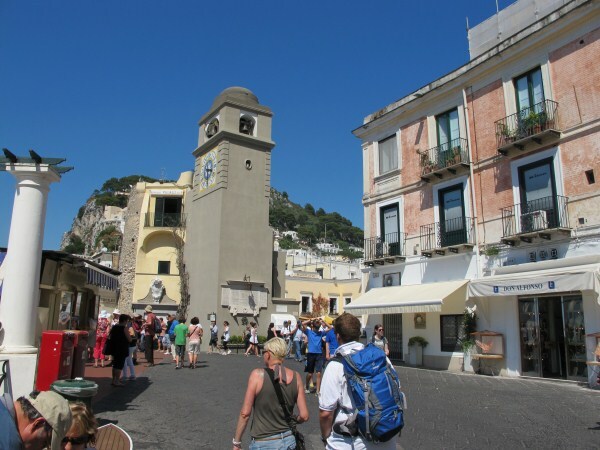 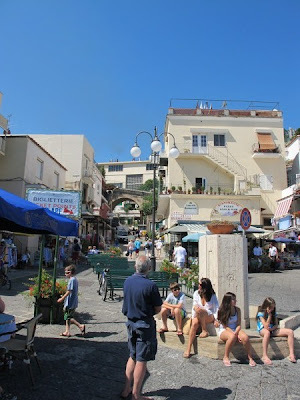 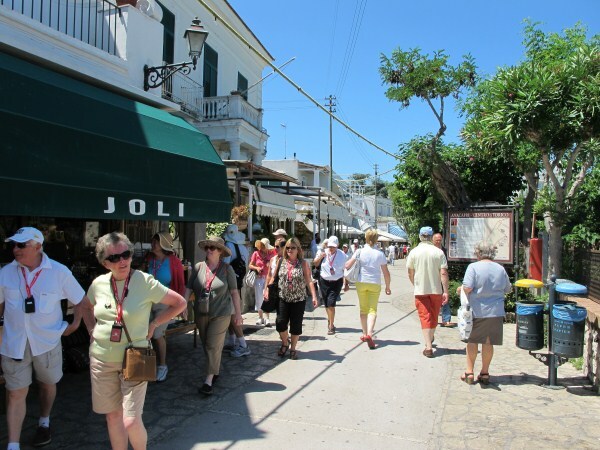 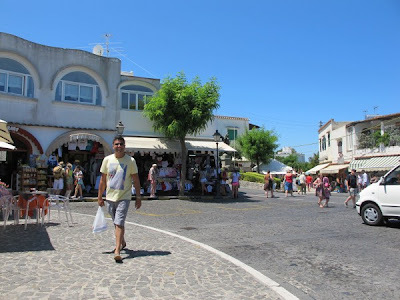 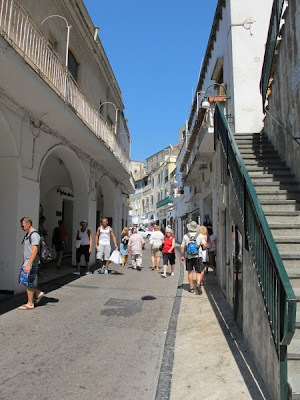 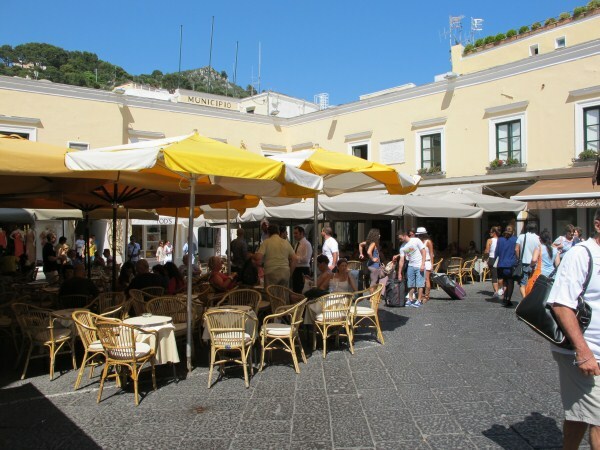 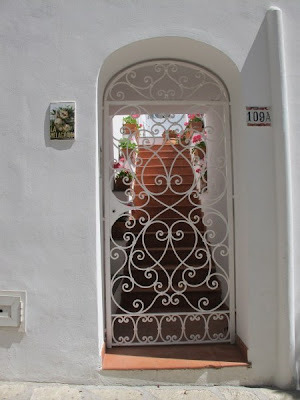 When we got back to Anacapri we had a little wander around and bought some postcards before getting the bus back down to the main area of Capri. 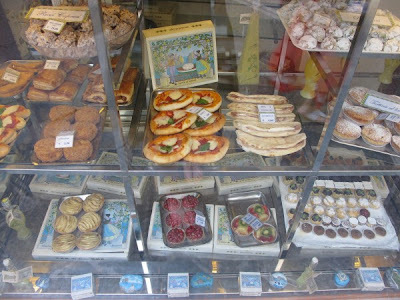 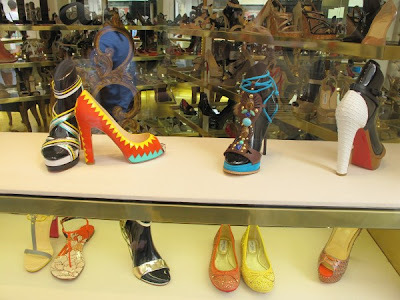 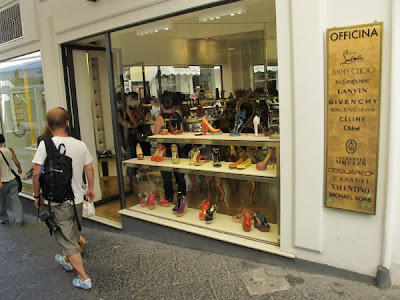 We were dropped off near the Piazzetta where all the designer shops are so we wandered around here for a bit, not daring to enter any shops except the pastry shop!! 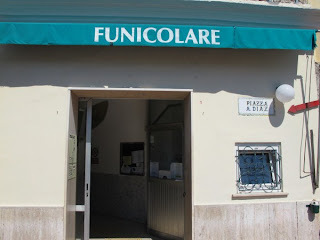 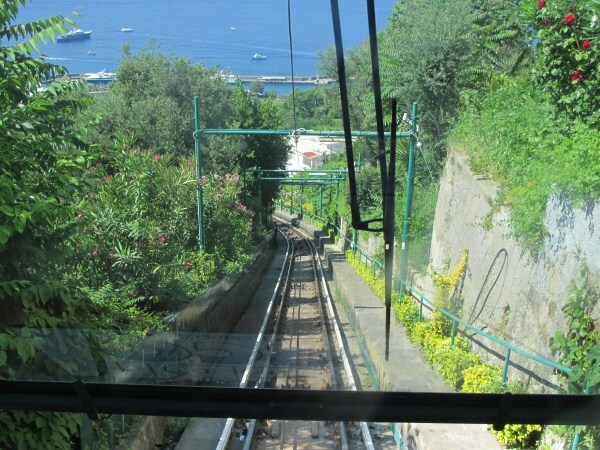 We then got the Funicolare back down to the Marina. 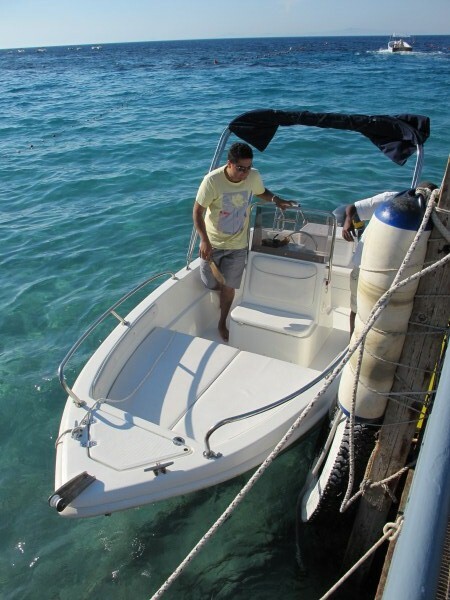 And we finally hired our boat! 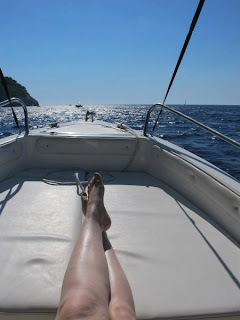 :D I would definitely recommend doing this! We hired it for 2 hours (more than enough time to get round with a few stops) for 80 Euro including fuel and an ice box. 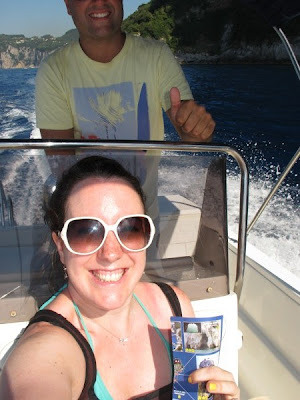 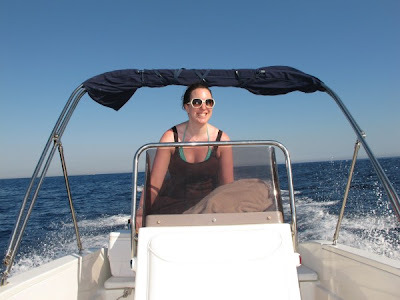 It was lovely to get out on the sea alone and we had great fun zipping in and around the little bays. The views of the island are amazing and you're given a map of sights to look out for and places you can moor or anchor to go in for a swim. 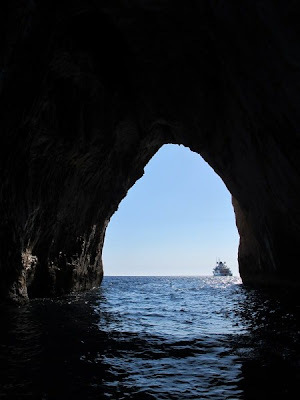 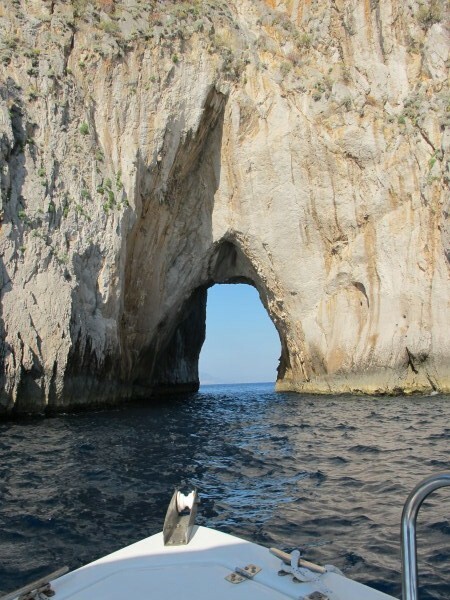 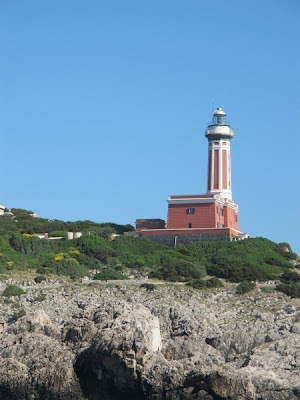 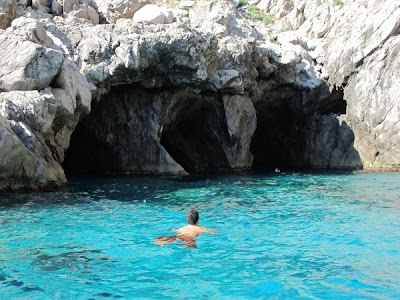 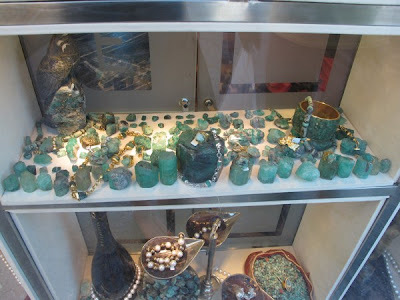 We went past the blue grotto but had read bad reviews and didn't fancy the wait. 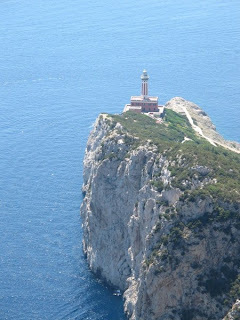 The lighthouse from the other side! 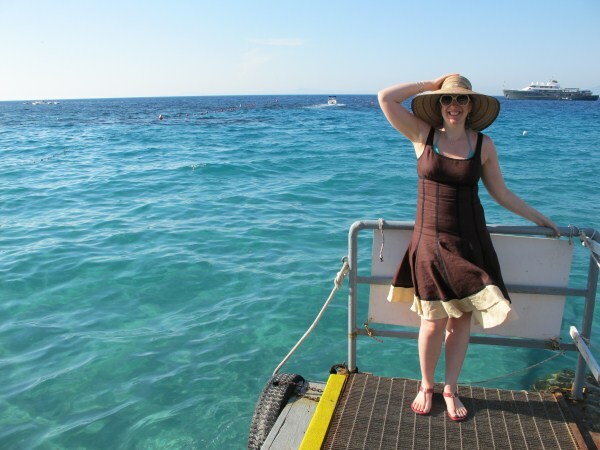 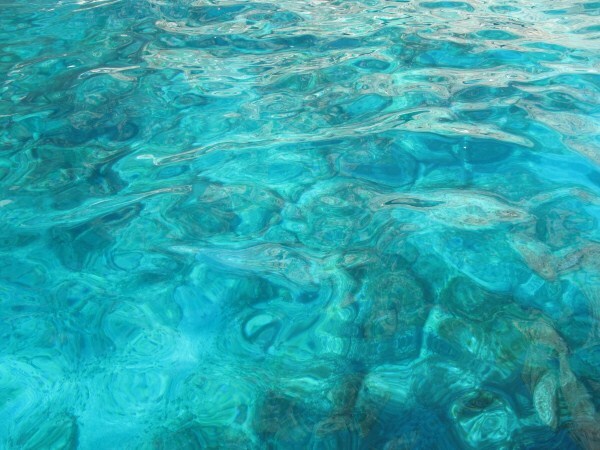 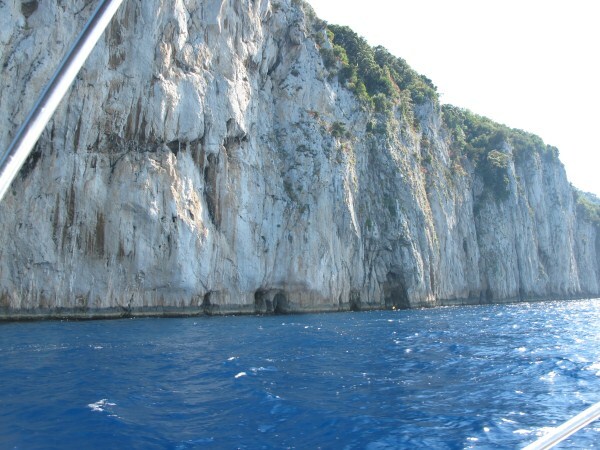 We did anchor by the green grotto and Nik went in for a swim while I kept an eye on the boat. 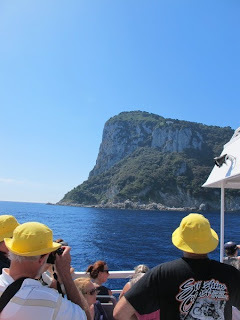 Before we continued around the island to the rocks. 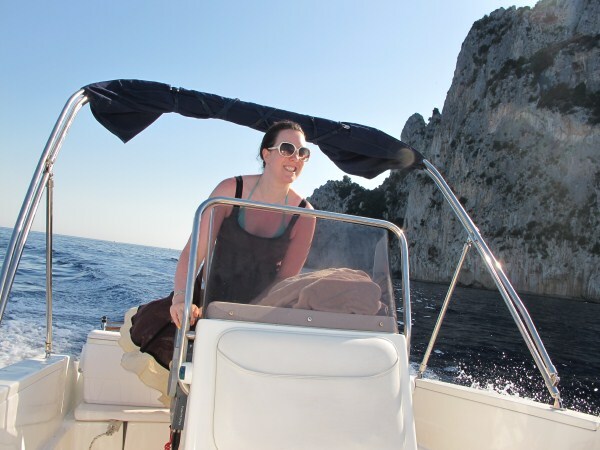 Then I had a go at being the captain! 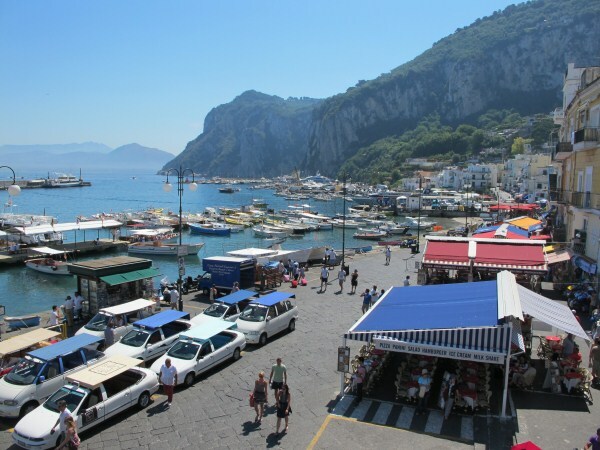 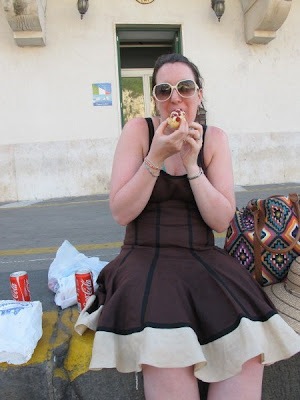 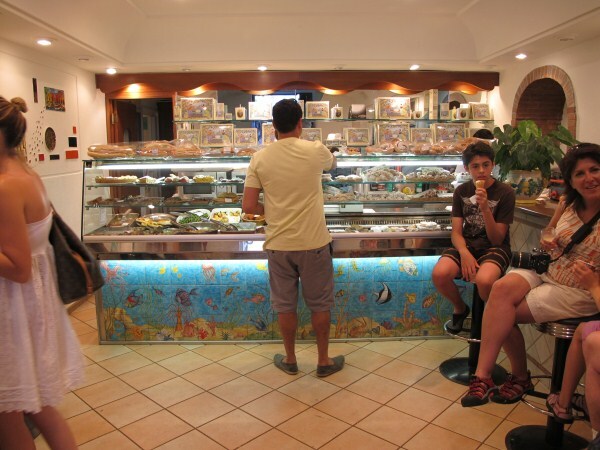 We then hung around the marina eating our delicious pastries with a nice cold coke while we waited for the last ferry back to Sorrento. Our hotel from the marina - the tall thin white one in the middle! 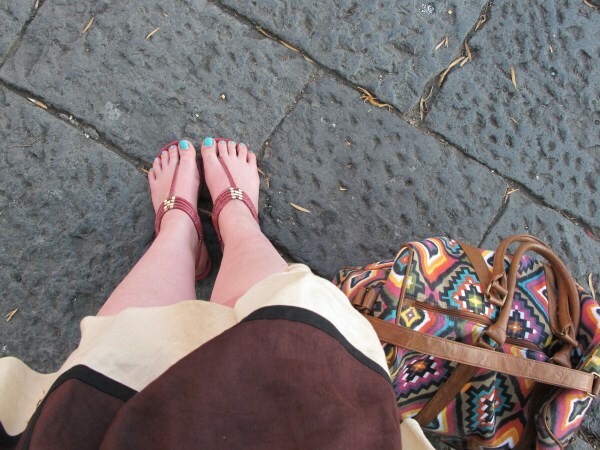 Waiting for the bus that never came! We eventually got home at around 9pm (after Nik didn't want to get on the bus I suggested as it went the long way round to our hotel. He wanted to wait for the next more direct one - which NEVER CAME!) after getting another bus to the top of the cliff and then walking home. 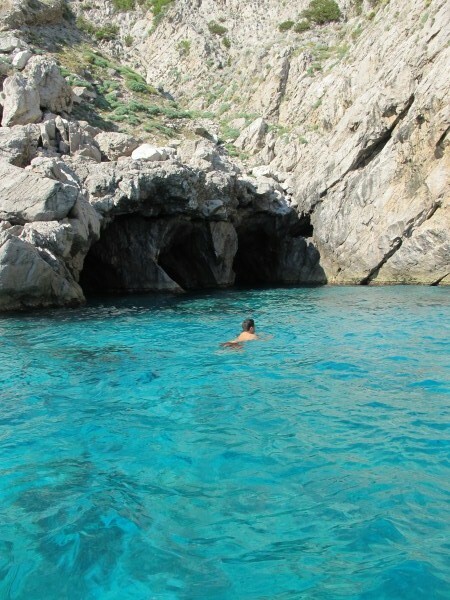 I am so jealous of this day. You really packed a lot in and it just looks stunning. 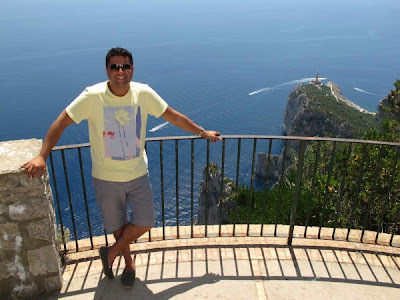 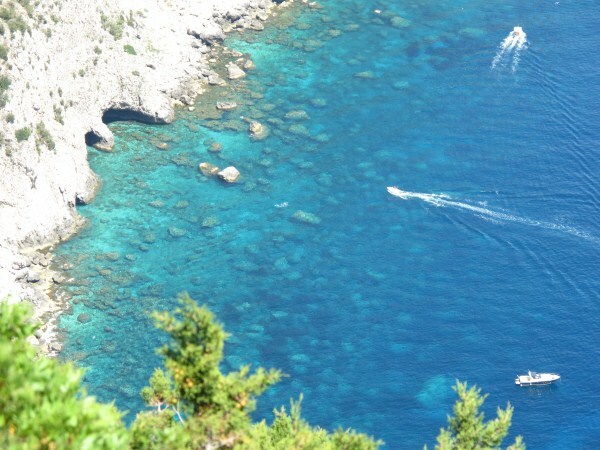 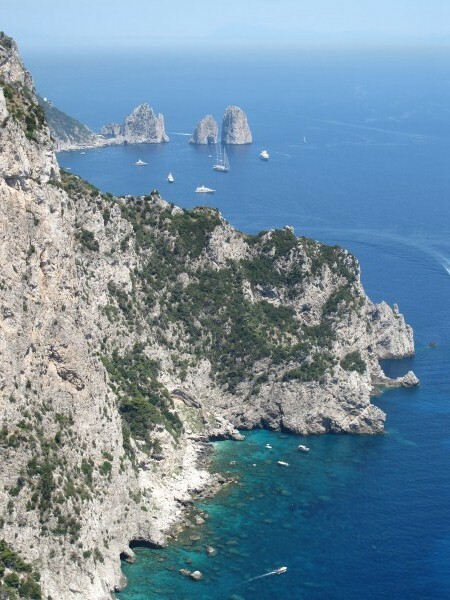 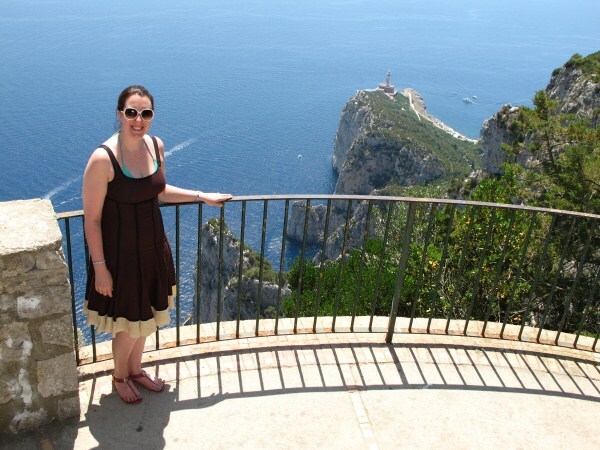 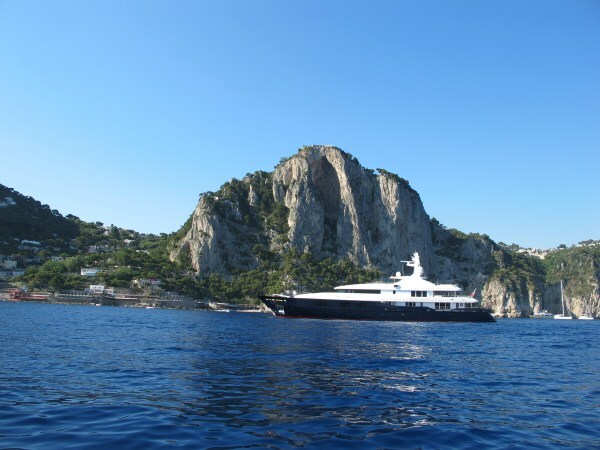 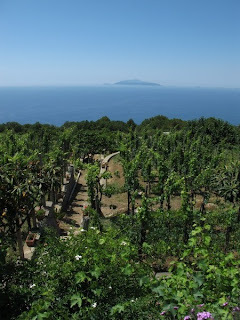 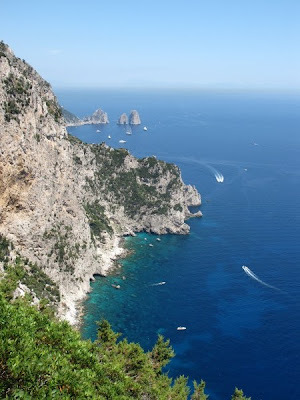 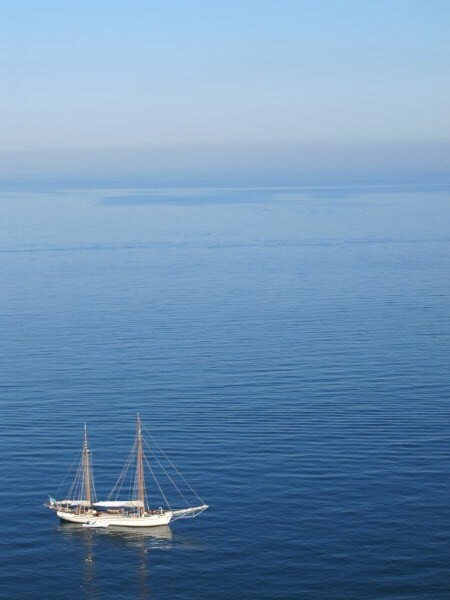 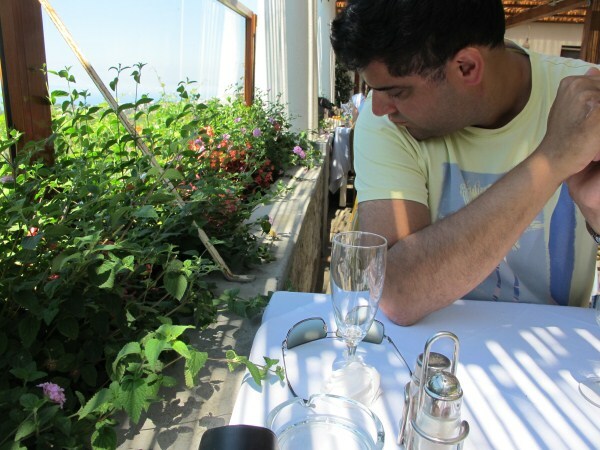 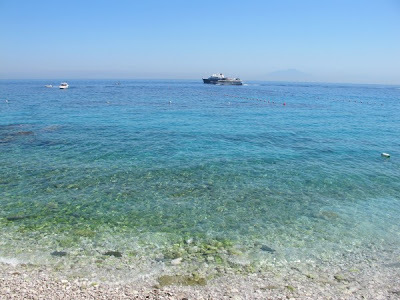 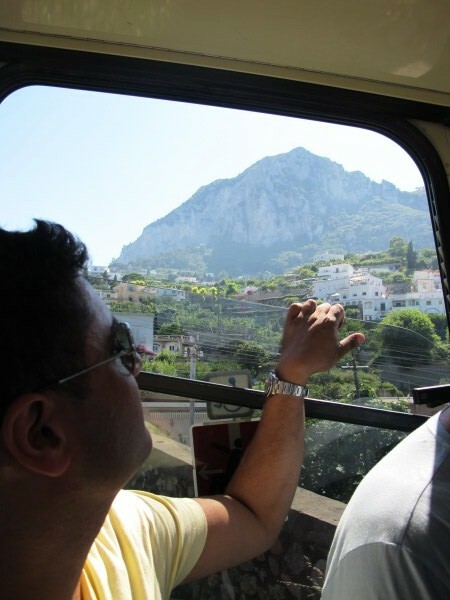 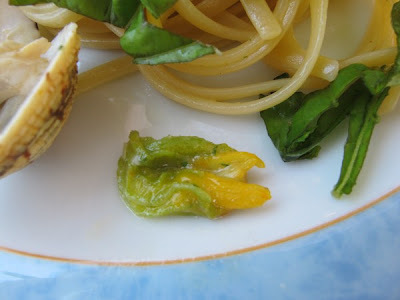 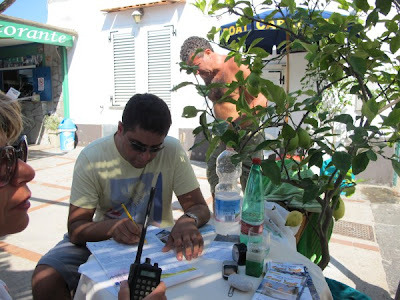 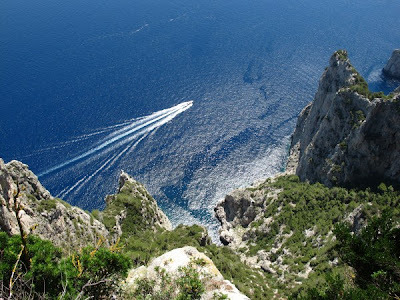 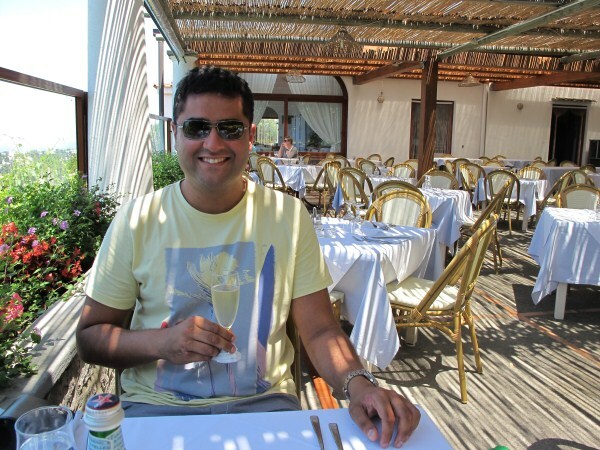 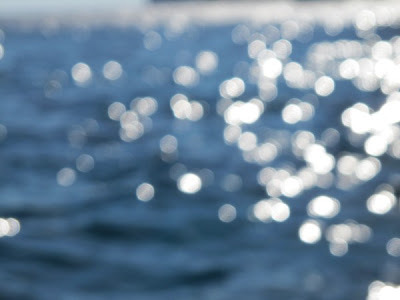 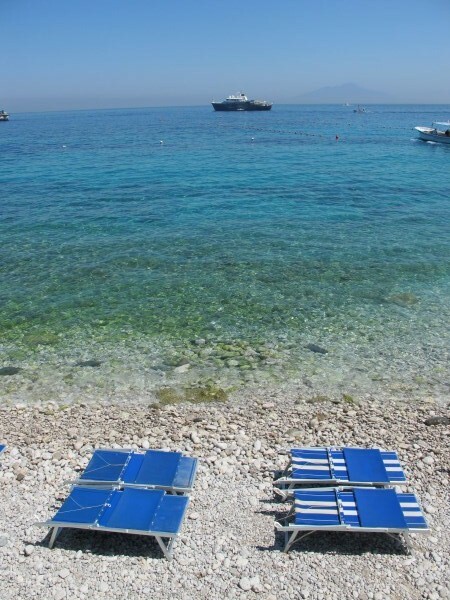 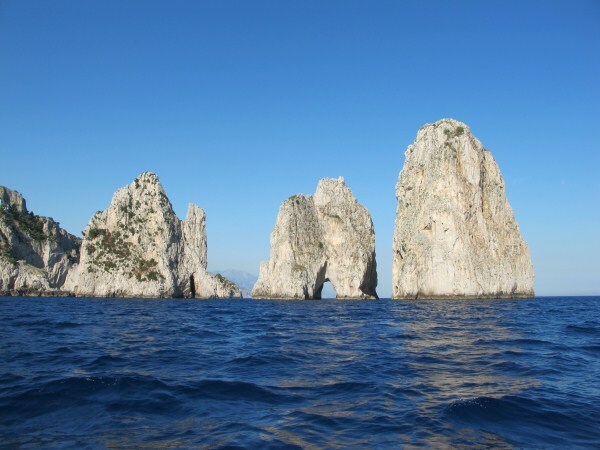 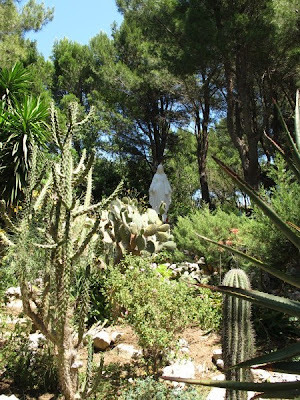 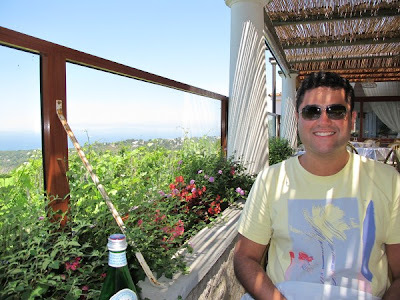 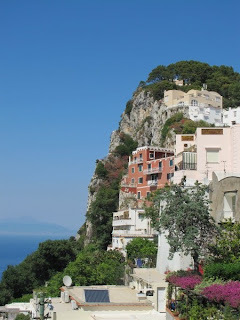 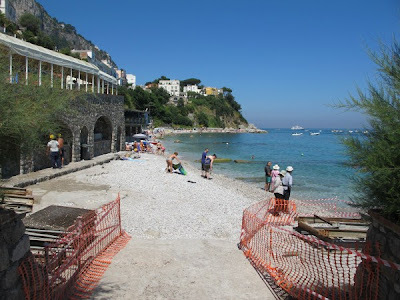 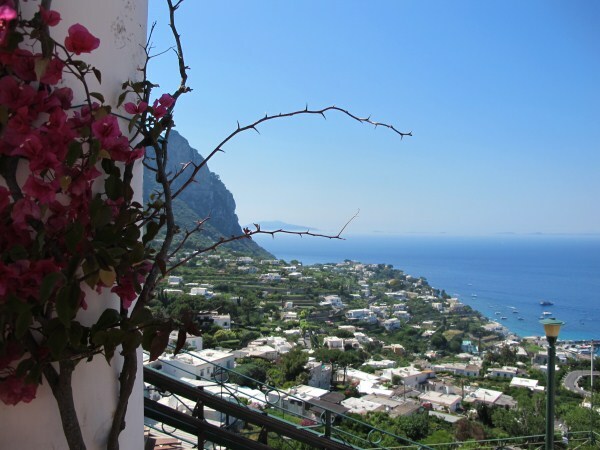 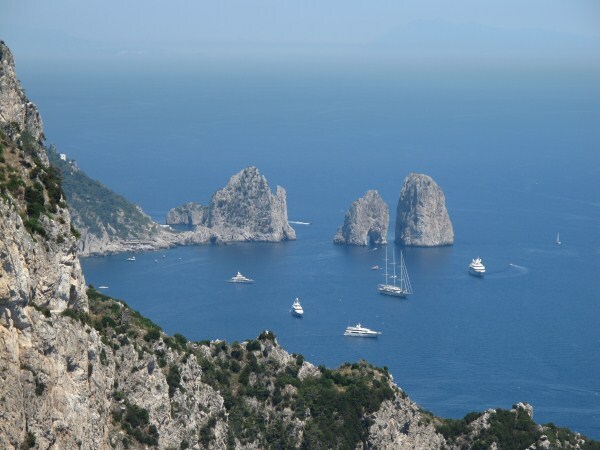 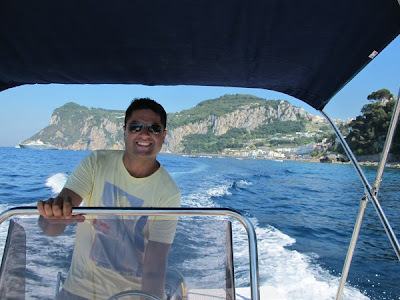 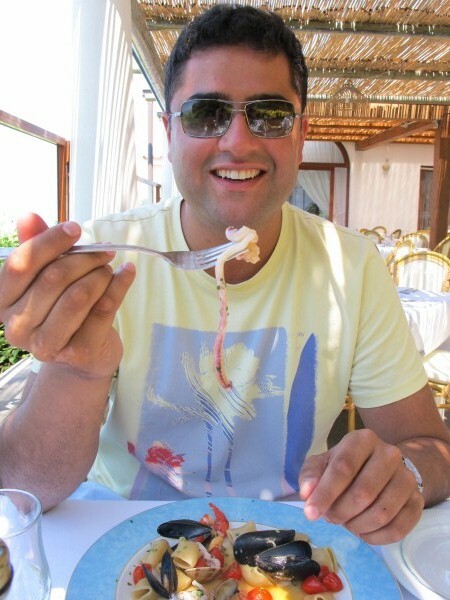 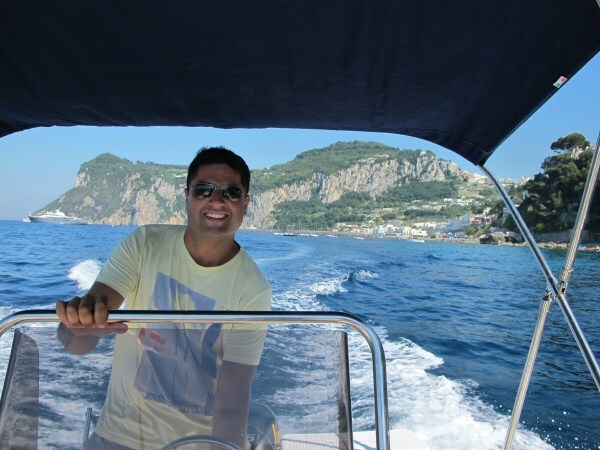 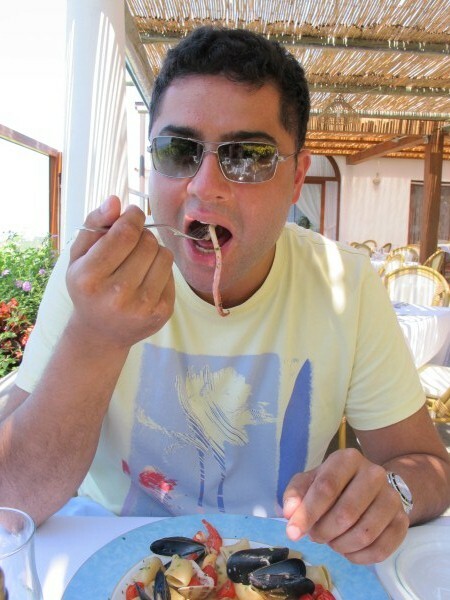 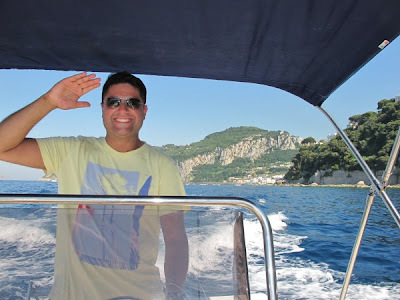 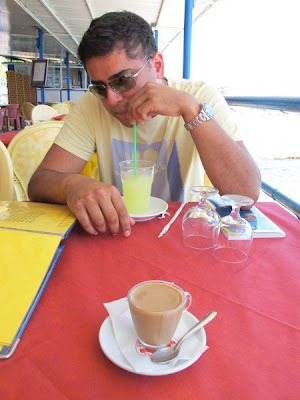 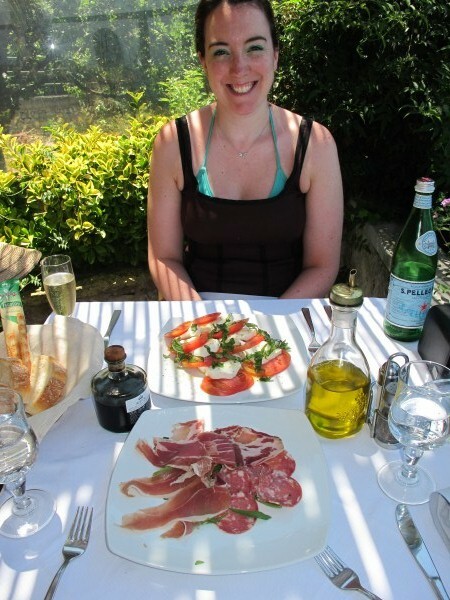 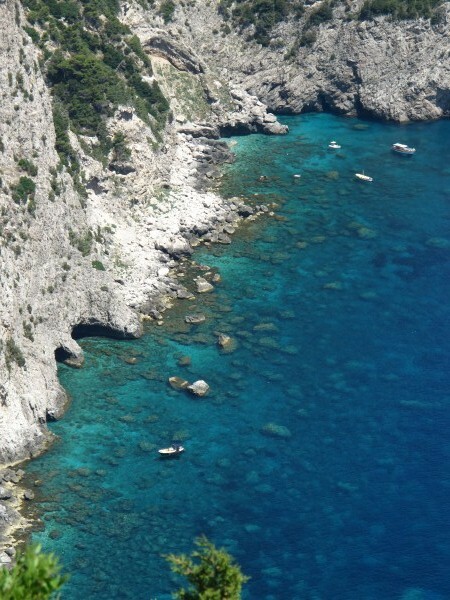 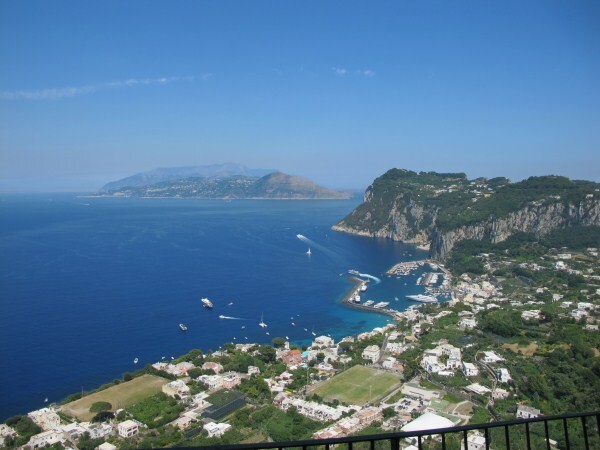 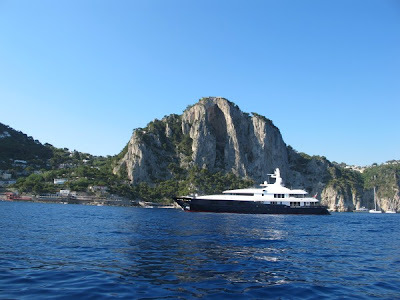 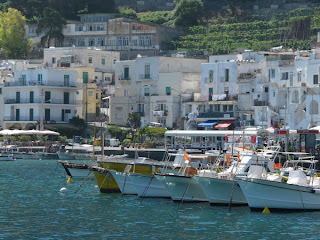 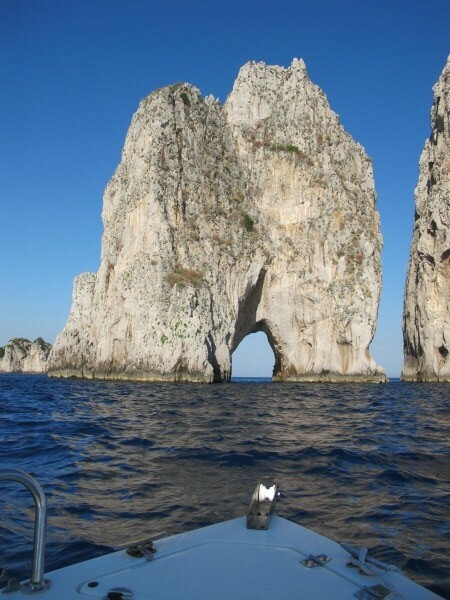 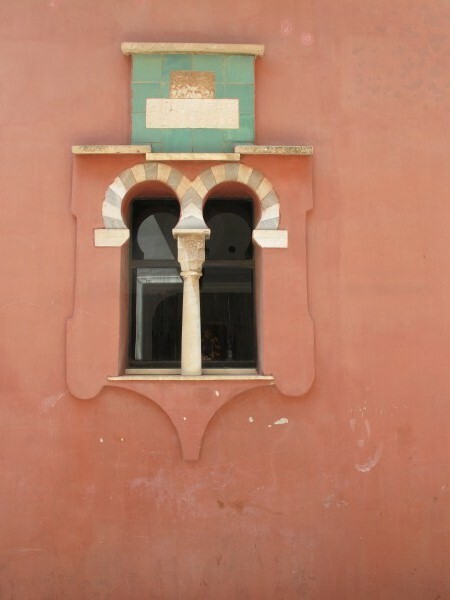 *Sigh* - now I just want to get on a plane to Capri! 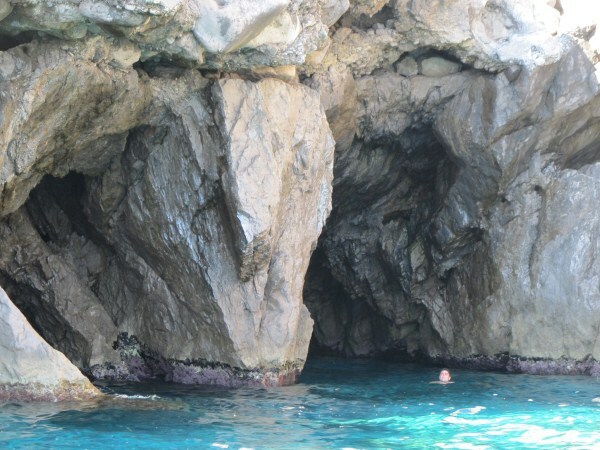 So funny looking at your photos and realising how many of the exact same shots I have from my holiday! So glad you took up our restaurant recommendation! 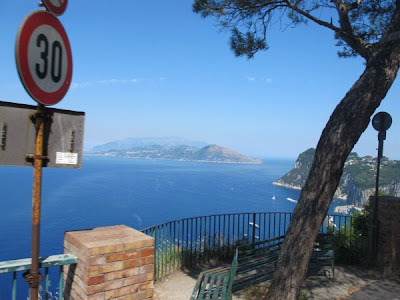 And well done you for getting the car there - we walked along the cliff path. 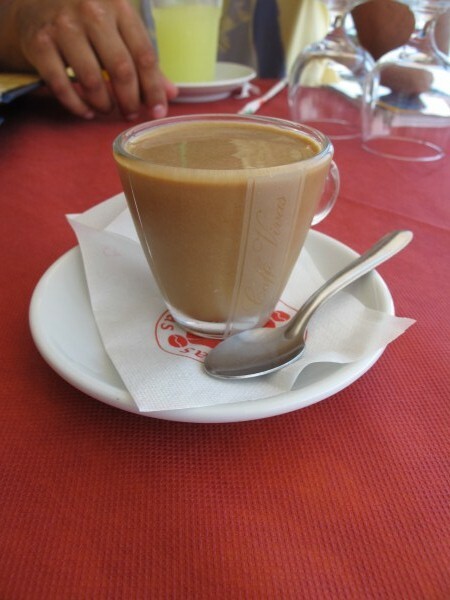 NOT recommended! 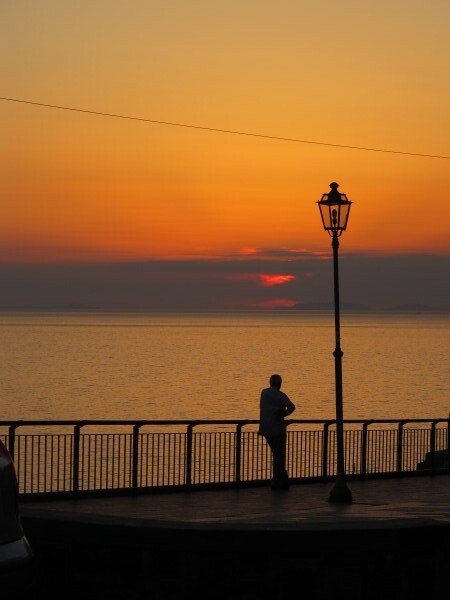 When we got to the restaurant in time for sunset we were so sweaty and dusty that I actually had a wash in the sink in the toilet!